Senior Woman Mhairi MacLennan retained her title that she won in 2018 at nearby Harewood House but was made to fight all the way to the finish line by Leigh Harrier Lauren Heyes (formerly Howarth) and Blackburn’s Jessica Judd, only winning by the slender margin of four seconds. MacLennan also led her club to a handsome set of bronze team medals, courtesy of supporting counting runs by Emma Holt (24th), Catriona MacDonald (39th) and Gemma Floyd (61st). After playing a sensible waiting game with two major rivals Euan Brennan, of Ilkley, and Nathan Dunn, of Preston, Morpeth’s Rory Leonard eventually stole away on the final lap of two in the U20 Men’s race, to take the individual title, thus adding to the one that he also won at Harewood House in 2018, that being the U17 Men’s. Unfortunately, lack of a fourth counter here robbed his club of a possible team title, as Alex Brown and Kieran Hedley had also produced excellent runs to finish seventh and 11th respectively. The club did, however, have the utmost delight in seeing their U17 Men secure a team title, courtesy of Ross Charlton (14th), Daniel Melling (21st), Rowan Bennett (24th) and Tom Balsdon (33rd). Morpeth’s other on-the-day medallist was Carl Avery, who took an individual silver in the Senior Men’s three-lap event. Avery, who won the title in 2018, just lost out to Leeds City’s Emile Cairess, who had won the U20 Men’s title at Harewood. Only nine seconds divided the pair at the finish. 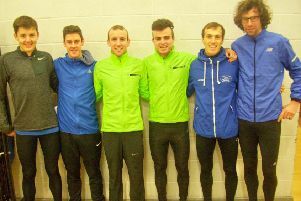 In a hotly-contested Senior Men’s team race, Morpeth Harriers eventually finished fifth, with further scoring counts coming from Andrew Lawrence (52nd), Jordan Scott (58th), Thomas Straughan (74th), Phillip Winkler (99th) and Alistair Douglass (124th). The club were a little unlucky not to have key runner Bertie Marr available because of another family commitment, because if he had been present, their team of U13 Boys, would undoubtedly have picked up a set of medals in their single lap 3.05k event, as their remaining three runners certainly figured well in the top half of a 201-strong field. They were led home by Ryan Davies, who had finished a close second to Blackhill’s Tom Slane in December’s North Eastern Championships. On this occasion, he finished in an excellent 10th place, five places and three seconds ahead of Slane, however was third home from the region behind Houghton’s Brandon Pye, bronze medallist in the North Eastern s, and Gosforth’s Ethan Bond, who finished in sixth and seventh places respectively. Other Morpeth finishers in the U13 Boys event were Joe Dixon (30th) and Joseph Hudspith (77th). Morpeth Harriers were also disappointed in not being able to field a full team of four counters in the U17 Women’s 5k event, which began the day’s programme of 10 events. Holly Peck produced an excellent run to finish 12th behind Darlington’s India Pentland, who won with eight seconds to spare. Other Morpeth finishers in the U17 Women’s event were Kirsty Duffin (69th) and Lily Heaton (83rd). In the Junior Women’s 5.7k event, Morpeth did manage to muster the required three scoring athletes. Consequently, the club finished seventh of eight full squads, courtesy of Robyn Bennett (25th), who is returning to action following an injury lay-off, Gracie Hufton (50th) and Kay Errington (60th). Perhaps the most disappointing team result for the club came in the U15 Boys 4k event. The Morpeth squad were unfortunately shorn of the services of two of their key athletes in the form of Ben Waterfield and Dylan Gooding with illness. Nevertheless, they did manage to finish as a team in 19th spot out of 23 complete teams, courtesy of Ben Walker (44th), Dylan Davies (54th), Matthew Walton (145th) and a very below-par Euan Duffin (178th). Another disappointment for the club was not having a full U15 Girls squad for their 4k event. Leading Morpeth home was Abi Leaper, who finished 48th out 196 finishers, and was 11th from the NE. Morpeth Harriers had no competitors taking part in the U13 Girls 3k event. However, in the 10 events on offer, they finished as leading regional club in half of them, which outlines a satisfactory day at the office. 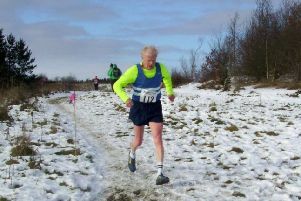 As a final footnote, the Northern Athletics Cross Country Championships were also being used as a final stepping stone and performance guide by the region’s selectors with regards to their possible final selections for the forthcoming annual UK Inter Counties Cross Country Championships, which are scheduled to be held in Loughborough in early March, and several Morpeth Harriers may well be in their minds for places in the region’s squads. Final decisions are expected sometime during February. l Morpeth Harriers are pleased to announce that their Athlete of the Month Award for December 2018, sponsored by Reeves the Pensions Specialist, has gone to their talented U13 Boy Ryan Davies, primarily for his excellent performance in the annual North Eastern Cross Country.